Save the Date! The 2019 Breckenridge Grand Vacations Golf Tournament is on June 9th at the Breckenridge Golf Club. This will be the 32nd annual golf tournament of The Summit Foundation. This tournament, presented by Breckenridge Grand Vacations, will be in memory of Rob Millisor. Rob was a beloved 11-year trustee of The Summit Foundation and owner/developer of Breckenridge Grand Vacations. Rob tragically passed away in October of 2015 while on a humanitarian trip to Nepal. 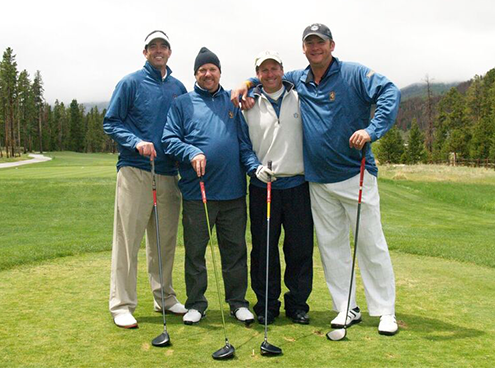 This golf tournament was Rob’s “event”; over half of the participants were friends and colleagues of Rob’s and traveled to Breckenridge to participate in his favorite event.